Library Plans & Books Last update 30th. June. 2018. Plans are available in 1/8th, 1/10th or 1/12th scale. Please note – Plans and books from the Guild of Model Wheelwrights are now available to anyone intrested. You can now pay for plans using PayPal - Just click on the PayPal logo below to set up an account or login to your existing account and put John's email (shown below) in the relevant box on the PayPal page. To request plans or books from the Guild Library please contact John Castle by phone or email. Possibly the largest selection of HDV plans are those which the late John Thompson listed in “The Carriage and Waggon Handbook” in the mid 1990s, which at that time offered over 100 horse-drawn vehicle plans for the modelmaker and carriage enthusiast. Soon after his untimely death in February 1995, John’s business closed down and ceased trading; and although many of his plans are available from a few other sources, the Guild holds the largest selection, including some that are not available elsewhere! 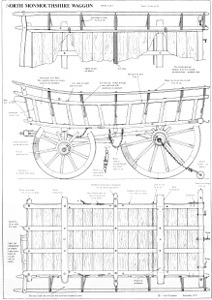 The three plans drawings shown above (NORTH MONMOUTHSHIRE FARM WAGGON) are from a set of five standard sheets – which in 1/8th scale are about (23'' x 16'' or 58.4cm x 40.6cm) and include instructions and cutting patterns, to enable the modelmaker of average ability to construct a very fine and detailed model. 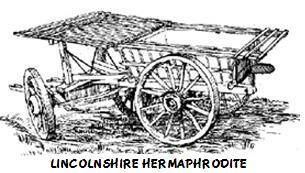 THE MONMOUTHSHIRE FARM WAGGON is one of several sets of plans which John Thompson particularly recommended for a first-time model. 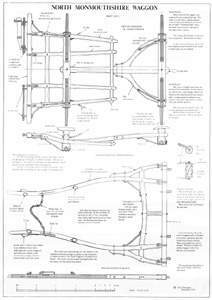 Another excellent and unique collection of measured drawing are those of the late David Wray; who measured up actual vehicles in museum collections or lying derelict and rotting away in an old barn at a farm somewhere. There are around 30 of David Wray’s plans available from the Guild, and I know of no other source from where these can be obtained. All are beautifully drawn, and show an individual vehicle in working condition. 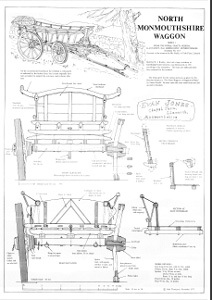 These plans are not recommended for the beginner; but having said that, there are people who have made one of these as their first model of a horse drawn vehicle with outstanding results! 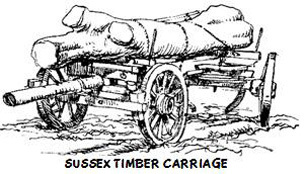 Shown below are two exampled of David Wray’s drawings (Lincolnshire Hermaphrodite and Sussex Timber Carriage) which featured in his now long out-of-print catalogue of plans. THE GUILD OF MODEL WHEELWRIGHTS LIBRARY PLANS ~ UPDATED October 2018. The numbers of plans and plan copies has been a storage problem for a long time now. 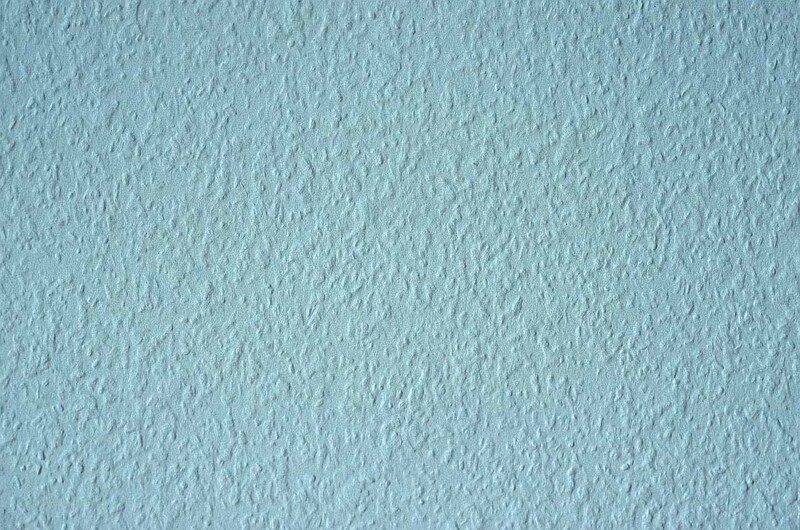 To overcome this we have decided to digitize the files, and are in the process of doing this. The basic layout and most catalogue numbers remain the same, but it was found that some listings of historic interest to the Guild, although well drawn were missing scales, dimensions and fine detail. These are being withdrawn and will be archived and the entire archive will eventually be digitized. Some members have asked advice on starter plans and I have highlighted the plans by Barry Voisey and some by John Thompson with the word SIMPLIFIED as ideal in this respect, as they have cutting lists, patterns, some tips on construction and in some cases simple methods of making authentic looking wheels. These plans are of a type rather than a specific vehicle. They will make quite a nice model, maybe not a prize winner, but a good first step. A number of plans listed by John Thompson were in fact re-prints of original trade journal pages, and are to be regarded as non specific but of a type, some are a little lacking in detail but there is sufficient to make a model from. These are marked REPRINT OF TRADE. When the plans are digitized we will be holding only one master scale per plan as noted, other scales may be requested. For guidance I have noted the numbers of sheets per plan. Plans will only be posted flat packed in an envelope, if you wish to keep the drawings in a tube then flatten and roll the drawings on receipt and manage at your end. are now available to anyone with a genuine interest. 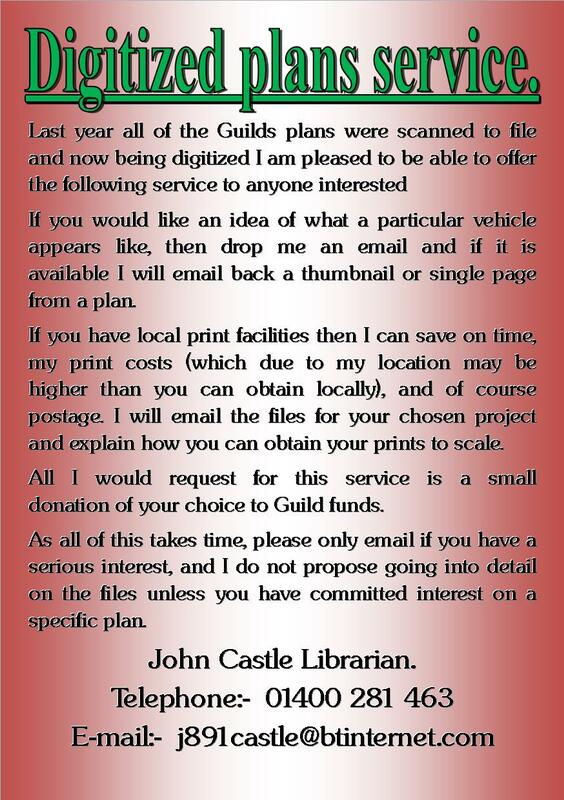 To request plans from the Guild Library please contact John Castle by phone or email. Royal Mail Coach, Moved to "P"
The initials in the source columns in the above lists of plans refer to the person, company or publication from which they originated. The list below shows the full names against these initials. All plans are available in 1/8th, 1/10th or 1/12th scale. With the demise of the Guild of Model Wheelwrights the time has come to dispose of our library books. Over time we have accumulated a number of books, but they have gone unused and because of this they are in the main in good condition. They are an invaluable reference source but of a limited interest outside the hobby, I have contacted a number of book sellers but have found no one prepared to take them on except at giveaway prices. Individually they have a value and we would like to realise that value as we wind up the guild funds. An example of what I have found is that one book on a number of different sites is offered for sale at over £40, but I am advised that I could only expect to get £1 or less from these commercial sites or at auction. Rather than accept these giveaway prices I am offering the books to Guild members, or anyone else who may have an interest, the books are listed by author, if you are interested in a particular book, then either phone me or drop me an email and we discuss a price, which will have to be realistic but considerably less than you would expect to pay on the various sites on the web. There are now 107 different books listed below. John Castle, Librarian. (My phone number and email can be found at the top and bottom of this page). SEFTON "THE HORSE FOR ANY YEAR"